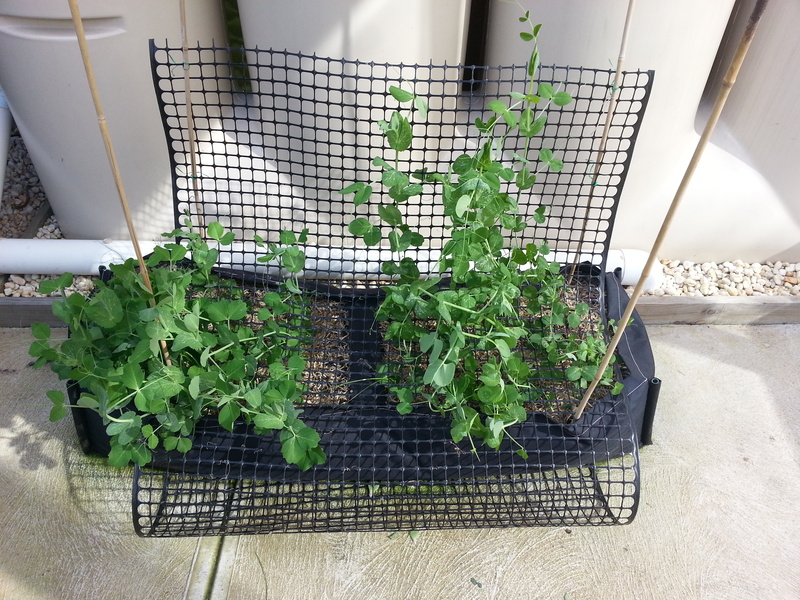 The garden included a few pots with some Kale and Radish, and a ‘Climbing planter garden‘ i had bought from Masters. 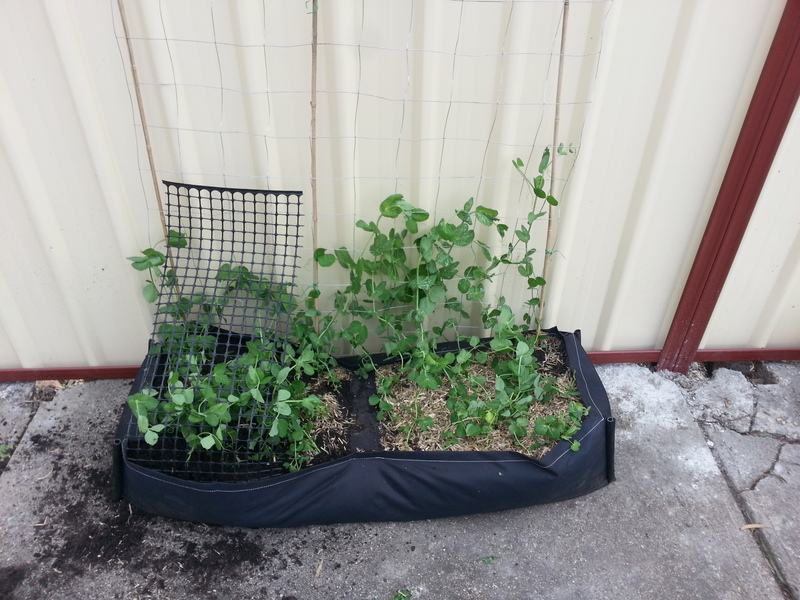 In the planter garden we put some Snow Peas and Sugar Snap Peas. 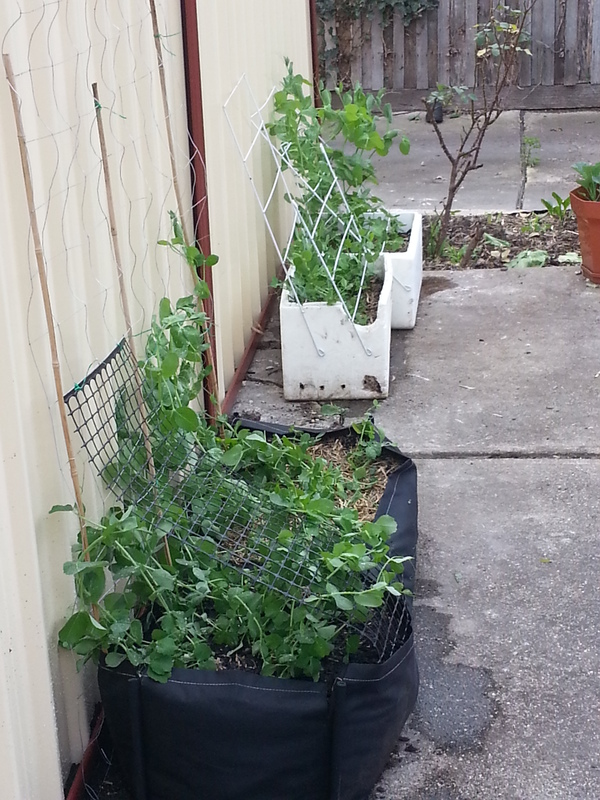 They were growing very well – but the guys have just bought a new house in Torquay and moving the garden down there was not really an option. hmmmm what to do??? 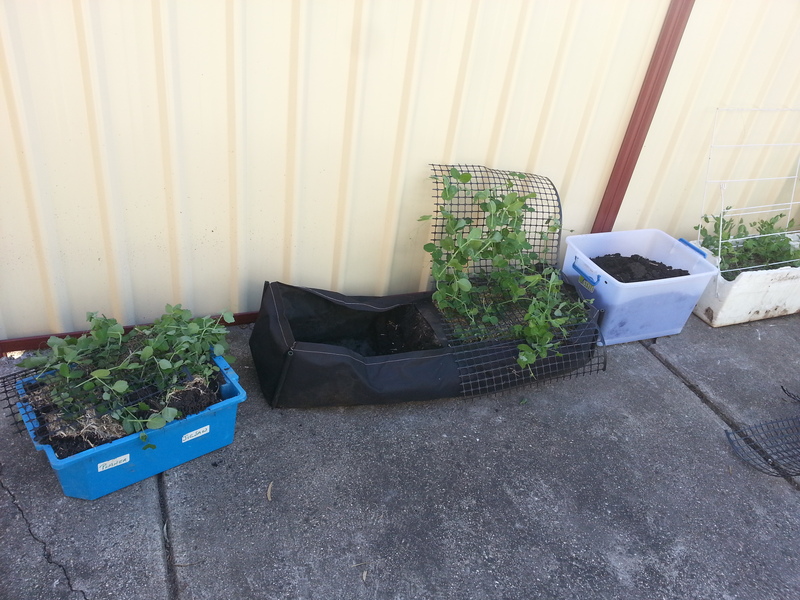 It weighs at least 200Kg based on the number of bags of compost, poo and soil that it is filled with + water – so there was no chance that it could be moved, as it was, without Cam, Carly or I putting our backs out hahahah. After scooping out some more dirt, we slid the reaming garden onto the tarp and carried it out to the car – both making out that we are strong and that our arms were not about to drop off. Thankfully, Carly offered Cam’s services to travel to my place and help me with the ‘lift’ at this end. I’m not sure if she threw him under the bus, or if he was glad to have a short breaking from packing duties at home hahah. 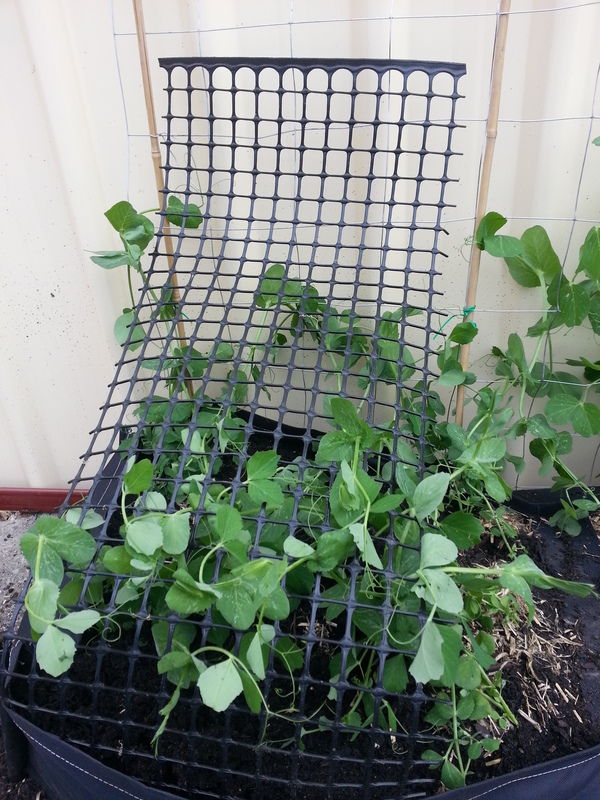 I decided that the best move was to try and gently cut away the plastic trellis so i could work a bit more freely with the plants. 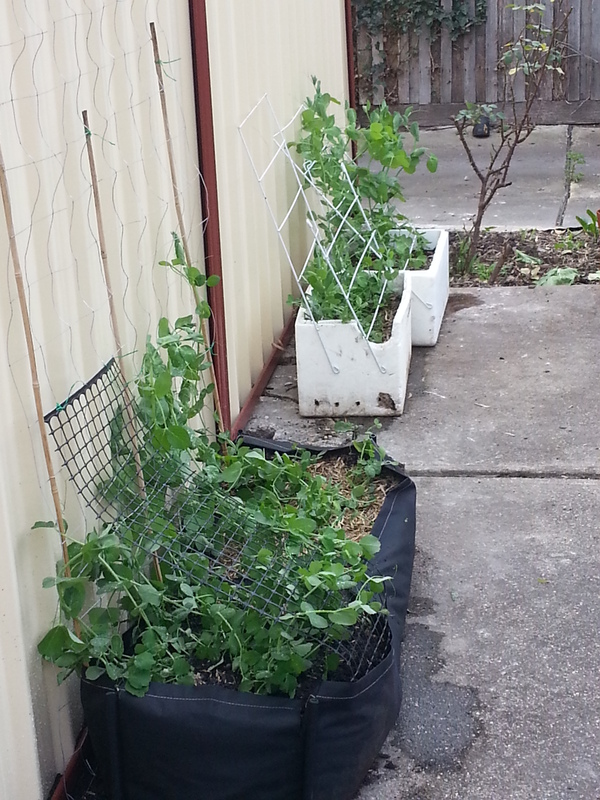 A new trellis was made with the garden wire that Chris gave me during the raid on his garden last week. I was so glad to have it on hand…. Thanks again Reardons! 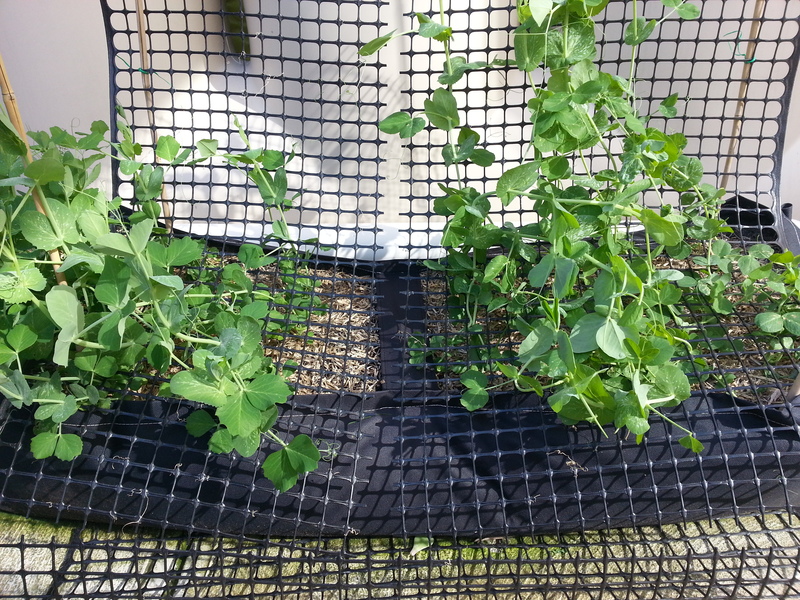 After re-homing the dislodged peas I realised that some of the shorter plants at the front would need a hand to reach the new wire trellis at the back of the planter – so I re-used one of the plastic bits that had been cut off. I was happy just to save and reuse the rich dirt that was in the planter… but it looks like we may have actually saved at least half of the plants!! 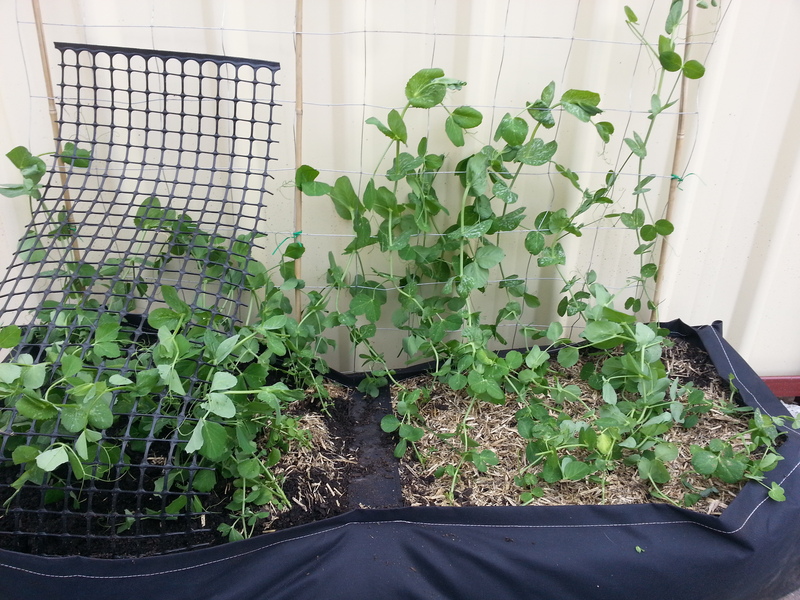 Hopefully in the next couple of weeks we will be inundated with Snow Peas (‘Giant Oregan’ i think these are). 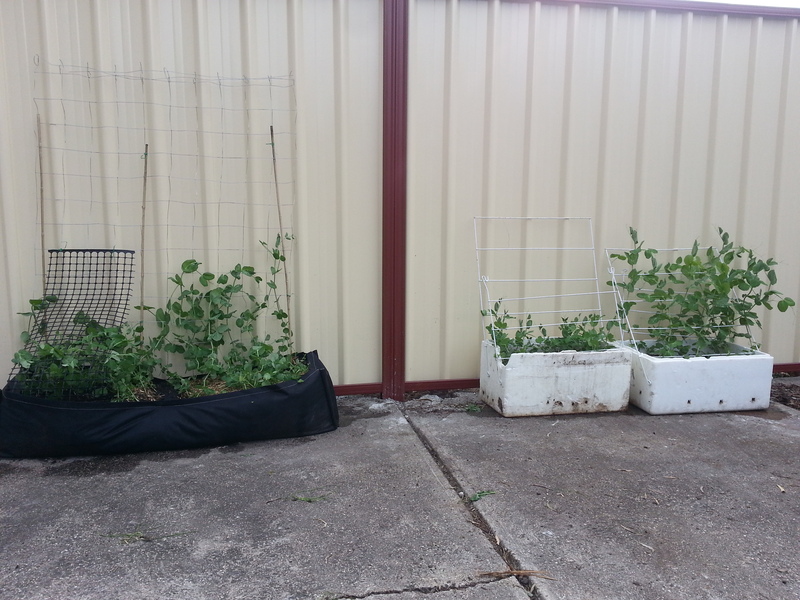 It doesnt look like they coppep much damage… infact i think some of the plants look happier on the the new wire.